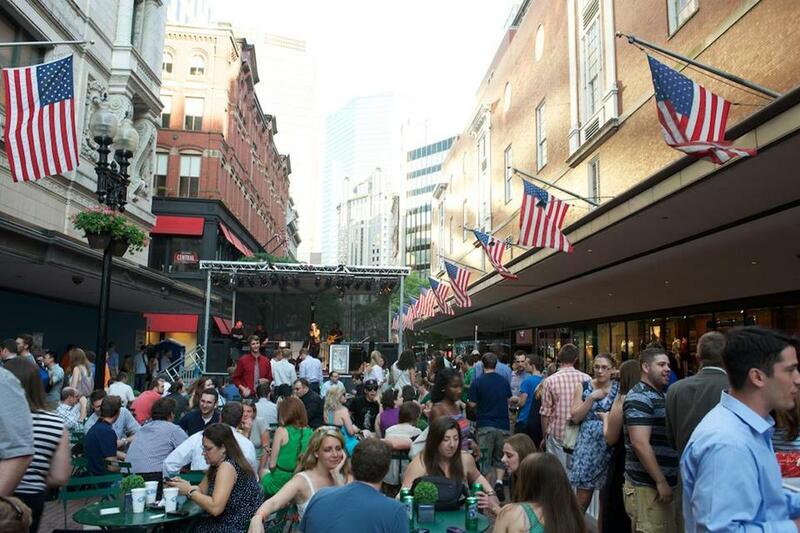 On Thursday evening block parties, Downtown Crossing features outdoor markets, concerts, and public seating. In “Mayor’s war against cars” (Metro, June 20), columnist Brian McGrory points out that many cities have abandoned their pedestrian malls, and suggests Boston should do the same. But unlike Buffalo or Sacramento, Boston’s pedestrian zone is a growing hub of activity. Downtown Crossing is among the busiest pedestrian areas in New England, with an estimated seven times the activity of Boylston Street in the Back Bay. What’s more, with direct connections on the commuter rail and subway, dozens of bus routes, Zipcar parking spaces, and Hubway bike stations, getting downtown without a car could not be easier. Vehicle-focused streets would reduce activity and severely diminish the comfort and safety of the 160,000 employees and millions of annual visitors who walk through the area. They would also impede the outdoor markets and vendors, concerts, and public seating that occupy the space today. As residents continue to move in, these activities are stretching further into the evening. The Thursday Downtown Crossing Block Party keeps hundreds of employees downtown past sunset, and retailers have extended their hours. Recently unveiled plans for the Millennium Tower embrace the pedestrian zone at its doorstep, recognizing it as an asset. Savvy businesses understand that pedestrians downtown are far more valuable than vehicles, which is why we make a priority of their convenience and safety.